Gordon Smith has been hailed as Britain's most accurate medium" and his life has fascinated not only his fans, but has intrigued scientists alike. In this autobiographical book, Gordon opens a window onto his life to give readers an idea of what the world looks and feels like for a medium. He walks the reader through the diverse situations he has found himself in and gives detailed insight into the many readings he has given. He explains what it actually feels like when Spirits communicate through him and answers many of the questions about death that haunt the bereaved. Yet the most fascinating thing that Gordon reveals is about his role as a medium: overthrowing the stereotypes, Gordon shows that a medium's job is not just to converse with Spirits, but to heal the living. When people are grieving the loss of a loved one, Gordon's messages can ease grief, answer unresolved questions, bring comfort, and give hope. Gordon shares many stories of people who have found peace and resolution from his messages. 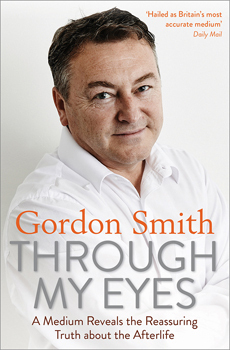 These are people who have been so affected by Gordon's work that they are happy for him to tell their story in this book with the desire of helping others who are experiencing pain and sorrow.